How many times have you heard someone say one of the following things about one of their photos on Instagram? We are obsessed with our virtual reality selves. We try to get that perfect angle and the perfect photo for our followers. Is to feel valued? Is it because we’re pressured to appear a certain way? Is it to compare ourselves to other people? It could be a combination of the three. Nevertheless, there is a root cause of all the reasons behind this culture of trying to be perfect on social media: insecurity! 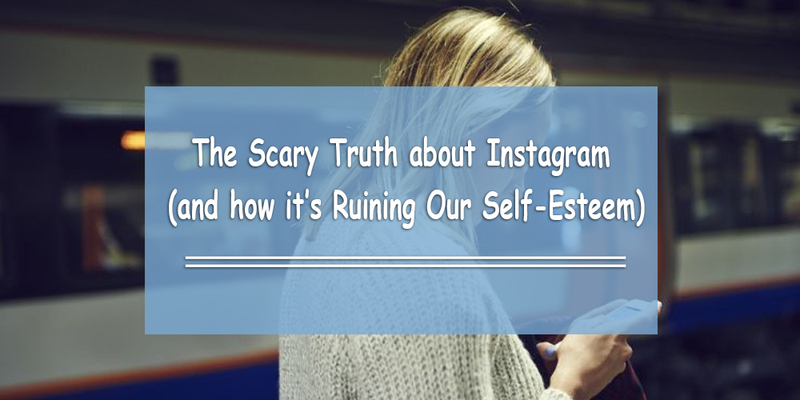 Why We Are So Insecure on Instagram? The truth is… the more you attempt to prove your value to others, the quicker you question your own self-worth. You focus more of your time and energy thinking about how to please other people rather than yourself. We start to criticize ourselves and question whether we look good in a photo or video we posted. We start to doubt ourselves and wonder if we’re pretty or good looking enough. Forget how shallow that seems; it’s damaging to your physical, mental, and emotional health. We shouldn’t be spending our entire lives proving our value to others. That kind of lifestyle would not be fair. Even Instagram models agree with this claim. “I get serious FOMO (fear of missing out) with Instagram, and with all social media. People are publicizing usually something really cool or fun that they’re doing, or at least they make it appear that way. I absolutely feel insecure. […] I have had Instagram since I was in university. I do feel a pressure to look particularly good. I would never post a photo that wasn’t flattering of me. Essena O’Neill was a model who once had over 500,000 followers on Instagram and about 100,000 views on each of her YouTube videos. She made a viral video announcing that she quit her job modeling for one of the top agencies in Australia. Imagine how many young women (and men) share O’Neill’s experience. The pressure to appear a certain way on a social media platform like Instagram can really affect one’s self-esteem. However, there’s something else she revealed in her video that needs to be discussed. You know how magazines alter images, don’t you? Many people now know that the media uses Photoshop (along with other tools) to normalize this perception of what’s normal, healthy, beautiful, and attainable. Contrary to popular belief, this is not exclusive to the fashion industry. In fact, according to Beauty Redefined, Photoshopped images can be found anywhere, including some of the brands you follow on Instagram. Just take a look at this video from Dove to see the evolution of someone’s face being changed in front of your own eyes. How does this relate to Instagram, exactly? Instagram’s social media culture does provide a great platform to share authentic photos, but not everything is as flattering and amazing as it seems in those photos. People might not use Photoshop, but they can use filters (even if they use the hashtag #NoFilter). They can give off the impression that the photo was effortlessly taken with very little or no preparation whatsoever. As mentioned in Essena O’Neill’s video, businesses rely on social media engagement to thrive. They will go to extra lengths and hire professional photographers and models to promote their products. The Instagram models then share it on social media and get money after promoting it on their accounts. So even if you did think comparing to others on Instagram is okay, just remember that you’re not competing against regular people; you’re competing against big businesses and marketing agencies. Take a look at the caption of Essena O’Neill on the bottom of this photo, where she says this is “not real life” and how she actually felt “alone” while taking this photo. Remember that you can never replace real relationships with online relationships. The level of authenticity of being in front of someone and having a real conversation with someone is irreplaceable. We also recommend doing a 48-hour digital detox to see how it feels to interact only with real people; you will notice a huge positive difference. Don’t let numbers define you. Forget about whether you have more/less followers now than you did last week. Your personality is based more than what is in your collection of photos on your social media account. Assuming you stay on Instagram – rather than quit social media like Essena O’Neill did – make sure you continue to recognize the differences between the real world and the virtual world (and to maintain a balance between the two). Love yourself. We are our harshest critics. However, it is important to know that you are still beautiful by your own standards. Don’t compare yourself to others and think that you need to change. Be yourself and don’t think for a second that you’re worse than anyone else because of it.